An office building overlooking the “Wiesn”, site of the world-famous Oktoberfest. A lounge equipped with a PlayStation and comfortable sofa in the lobby area. A long corridor lined by an eye-catching number of framed customer logos. The company’s core values adorn the wall opposite the fruit bar. We have dropped in to visit the Testbirds, a Munich startup that leverages the power of crowdsourcing to provide B2B clients with grass-roots testing services for software such as mobile apps and websites. Even a brief visit to the nest shows that the three founders’ idea has taken wing. The first client signed up in 2011, even before Philipp Benkler, Georg Hansbauer and Markus Steinhauser officially launched Testbirds GmbH in 2012. The crowd in question – made up of everything from students and apprentices to businesswomen and grandads – has already swelled to 100,000 testers. And it is the sheer variety of the testers’ profiles and devices that makes Testbirds’ usability and bug tests so attractive to companies of the caliber of Allianz, Audi and Henkel. 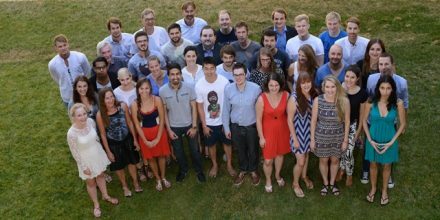 Mountain-climbers and nerds, twens and fifty-somethings, tablet users and smartwatch aficionados… You name it: The Munich startup finds just the right tester crowd for each and every product, company and preference. In recent years, crowdtesting has become firmly established as a valid complement to traditional methods of software testing. Testbirds were one of the first organizations to go to market in Germany. Buzzwords such as the internet of things, smartwatch apps and smart TVs are constantly gaining in importance. 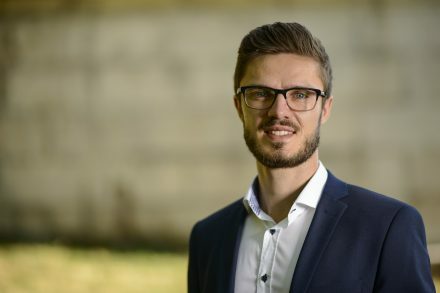 “The momentum will continue to increase, and that is where we are heading,” says Markus Steinhauser, co-founder of Testbirds. The exciting thing for testers is getting to try out new products and apps before they are officially launched on the market. Recently, a custom-fit crowd of mothers and fathers tested a baby monitor. Testing in the real world adds more value for the company than tests performed under laboratory conditions. “When we started out, we did projects together with other startups. Our main aim wasn’t to earn money, but to gather experience,” Markus told us. “The bigger clients then came along after four or five months.” It also took time to cultivate the tester community. Now, though, 3,000 international testers are added to the ranks every month. Given such an exciting business model, competition is naturally fierce. Testbirds, however, strives to set itself apart with a clear commitment to service and top quality. The fledgling company is also not averse to developing a new product, if that is what the client wants. Take TestChameleon, for example: The client in question wanted to complement crowdtesting with automated tests, but couldn’t find a suitable solution on the market. This gap prompted the three founders to develop the new TestChameleon product from the ground up. Structured tests involving a given company’s own staff – based on the “bring your own crowd” principle – are another service that emerged in response to clients’ wishes. And the three founders are already working hard to expand their product portfolio (though they are wisely staying tight-lipped about exactly what they are doing). The company started with seed funding channeled via the LMU’s EXIST Business Startup Grant program. In the early days, the founders systematically attended events to establish as many contacts as possible and beef up their existing network. 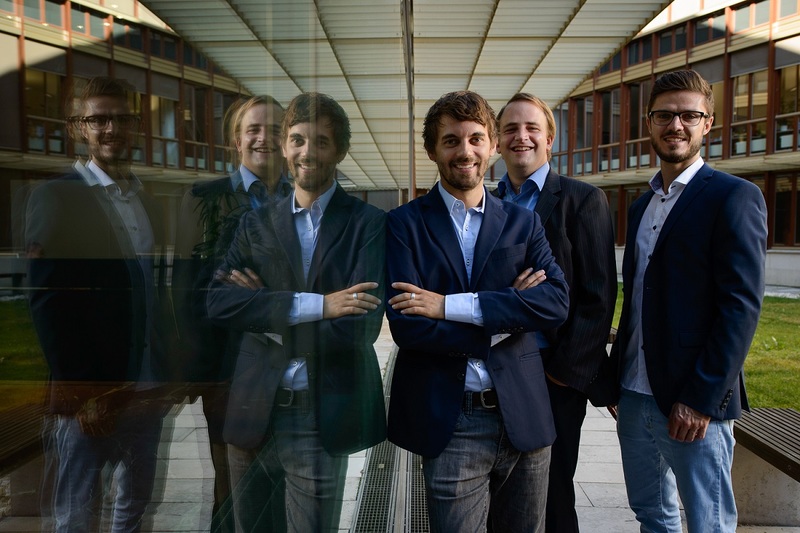 The first financing round was not long in coming, thanks to evobis (now BayStartUP). The investor – Walter Beteiligungen und Immobilien AG – provided a good fit, allowing the founders and financial backers to quickly reach agreement. The startup quickly plowed the seven-digit investment into ramping up its team: “Because crowdtesting was gathering speed, and we wanted to be in on the action right from the start,” as Markus explains. In 2014, the company decided to expand in order to gain a local foothold in its target markets. French venture capital firm Seventure Partners stumped up EUR 2.1 million for the firm’s internationalization in the second financing round. Seventure proved itself to be the right partner, for example by leaving the founders plenty of freedom to decide on personnel matters, services and products. Asked about challenges, Markus highlights the company’s medium-term vision “to establish ourselves as the leading and most innovative crowdtesting provider in Europe.” The challenge to which he is referring, of course, is growth. In Munich alone, the Testbirds have already relocated three times, and even their current premises are now being enlarged. Founder and Managing Director Philipp Benkler, the man in charge of sales and internationalization, also spends a lot of time traveling to the UK and the Netherlands, where he is developing offices in London and Amsterdam. Stockholm and the Scandinavian market will follow, and Testbirds operates a franchise in Hungary. Growth affects internal structures, internal communication and processes. “We sat down for update breakfasts when we started. That was nice when there were ten of us. With 15 it was still okay. But when we had more than 20 people it took two hours – and no one really wanted to join in any more. It was no longer the right way to stay up to date,” Markus recalls, citing just one of many examples. Again and again, people want to know what makes a startup successful. Is it the business idea? A team of founders who complement each other? Or is it a cash injection at the right time? At Testbirds, it was undoubtedly a blend of all three factors. A business administration graduate, a business IT expert with a master’s degree in finance and information management and a communication expert leave the three-man founder team well placed indeed. Markus says the team usually had two or three different opinions in the early days, out of which all kinds of innovative developments grew during the learning process. “Looking back, that was really helpful,” he adds. Don’t sit alone in your room, plotting and planning. Go out and try things. That is a lot of work, but it quickly shows what clients are really interested in. Ideally, it can save you a lot of false starts. Listen to the market and do what it wants quickly. Learn from mistakes – and everyone, on every level, makes them! Going elsewhere? Out of the question! Nor was there any business reason to set up the company in another city. Right from the word go, the founders were well connected in Munich – via their university professors, for example, and via the Munich Business Plan Competition, in which they came third in 2012. Offices, general support, a robust network… There was no shortage of options and plenty of assistance. “The man in the street maybe doesn’t see that as much as in Berlin, where there is a tremendous buzz,” Markus notes. “But there were always people to give us useful advice.” By no means least, Munich’s many large corporations in the automotive and media industries are an attractive target group for B2B players such as Testbirds. The Bavarian capital is also a happy hunting ground for firms on the lookout for investors and new staff. Having too much time on their hands is a problem the founders of Testbirds never face. Even so, their commitment to progress and mapping the road ahead recently drove them to formulate a “Code of Conduct for Crowdsourcing”. Go here to read an interview conducted by the Chamber of Industry and Commerce (IHK) with Philipp Benkler.